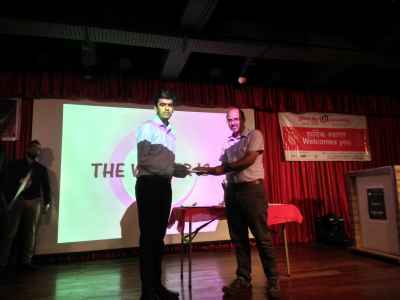 SAKEC Quiz- "The Battle of Brains"
VESIM students participated in SAKEC Quiz – 2018 held on 6th October 2018. 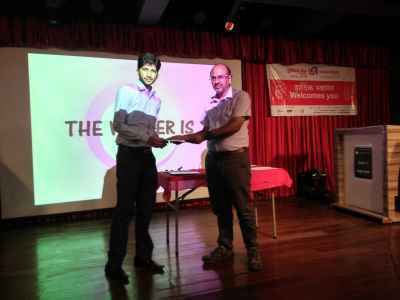 The quiz was organized by Speaker’s Club of SAKEC (Shah and Anchor Kutchhi Engineering College, Chembur). Chief Guest of the event was Dr. Radhakrishnan Pillai who has authored many books on Chanakya. More than 30 teams from different colleges participated in the quiz competition. 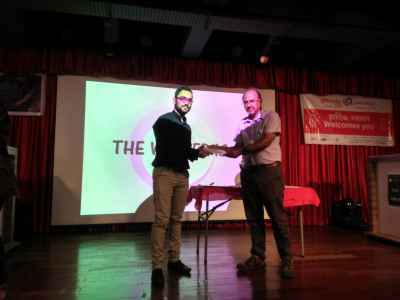 The quiz had two rounds – Knock-out & Grand Finale. In the first round, each team was given a sheet which had 40 questions, the top 4 teams with the highest score will qualify for the Grand Finale. The theme of the competition was “The Battle of Brains“. There were 6 rounds in the Grand Finale Buzzer Round, Rapid-fire, etc. Two of the top 4 teams were from VESIT. Though we didn’t qualify for the Final round but it was a great learning experience for us. We would like to thank our institute and Prof. Ravi Jeswani (Head – Sports & Events) for his continuous guidance.